Could you have imagined 20 years ago how often we would shop from home, search for recipes on the internet or stay in touch with friends via social media? Times sure have changed, while online magazines or blogs like this one remain rooted in appreciation for old-fashioned culture, too. The goal of this blog is to bring you simple living content, green living tips and clean couponing information for your busy life. I sure appreciate your staying in touch via social media, following news and information here, and sharing your favorite items with friends. Want the newsletter in your inbox? Here’s where to sign up free. Here’s where to connect with me on Facebook, Twitter, Instagram, Pinterest & Google+. 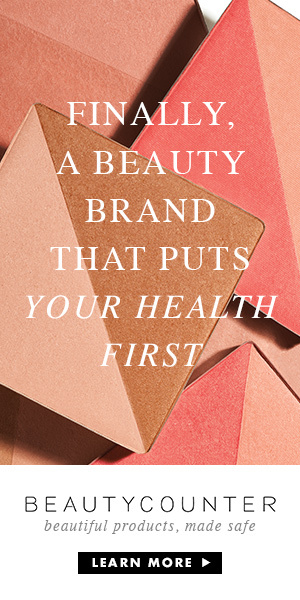 Want to support this blog by shopping my Beautycounter shop? You can do that here.